The north shore looks set to become NSW’s very own football factory — with three young players hoping to forge a path to the Sydney Swan’s playing list. 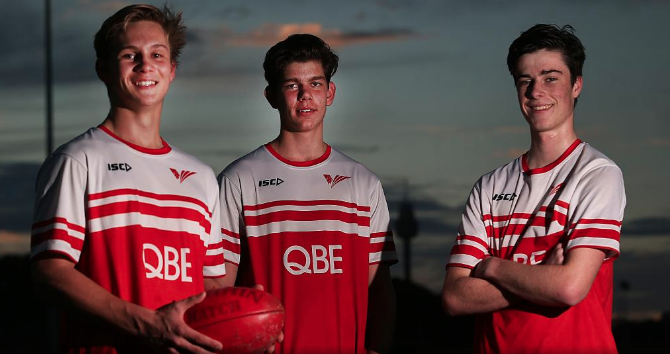 Jackson Barling, Josh Rayner and Nick Brewer are all members of the Swans Academy, a professional environment for elite junior talent to learn the ropes of what it takes to be an AFL footballer. Click here to read the entire article as published. Notice is hereby given of the annual general meeting of the Willoughby Wildcats on Wednesday 25th of October at the Longueville Sporting Club, at 7:00 p.m.